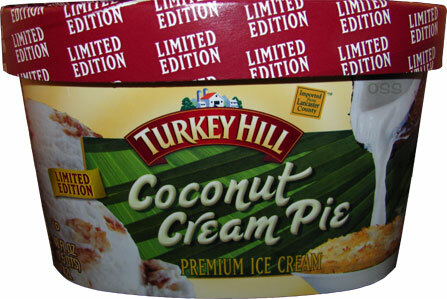 [By Nick, New for 2014] It’s been awhile since a store around me has carried a new limited edition Turkey Hill flavor. When I saw the containers of Coconut Cream Pie starring back at me in the freezer isle, I was torn. On one hand, I’m still intimidated by coconut flavors. On the other, I want to beat Dubba in our competition to see who can try more Turkey Hill flavors this year. Well my competitive side won and into my basket a container went. I’ve had some luck with coconut flavors as of late so hopefully that’ll continue. If not, I just wasted $3.50. Oh man, this is just what I feared. 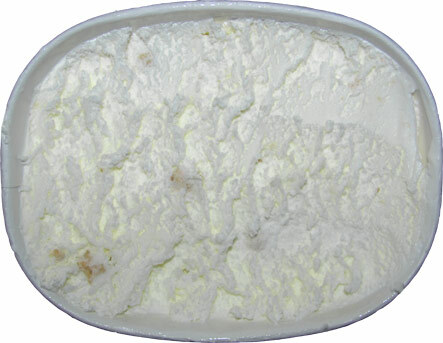 Not only does the ice cream taste like sun tan lotion, there are shreds of fresh coconut whose texture I despise. There are hints of the coconut flavor I have started enjoying but the artificial-ness takes over. Add in the texture of the coconut flesh and I’m not amused at all by this ice cream. Oh the things I do to beat Dubba in a competition. If there’s one positive I can draw from this container is that I really enjoy the cream pie pieces. Their chewy, almost oat-like texture helped keep my mind off the shredded bits of coconut. Flavor wise they added more of the natural coconut flavor and their butteriness helped in taming the suntan lotion vibe of the base. Sadly as you can see, there wasn’t all that many I found in my sampling. If there were a huge abundance, I might be able to recommend this one, but as is, there are far better coconut options in the freezer aisle to try. On Second Scoop: I’m not one to waste and while I was highly tempted to just pick out the pie pieces and call it a day, I decided maybe a sundae could redeem this flavor. I was wrong. There is no amount of caramel and graham crackers that can save this one for me. The sun tan lotion taste just becomes overbearing and I can’t taste anything else. Time to go digging for coconut cream pie pieces. I'm sorry you didn't like it Nick as it's one of my favorite limited editions from TH. I wonder how it compares to Friendly's limited edition coconut? Danielle, limited edition? 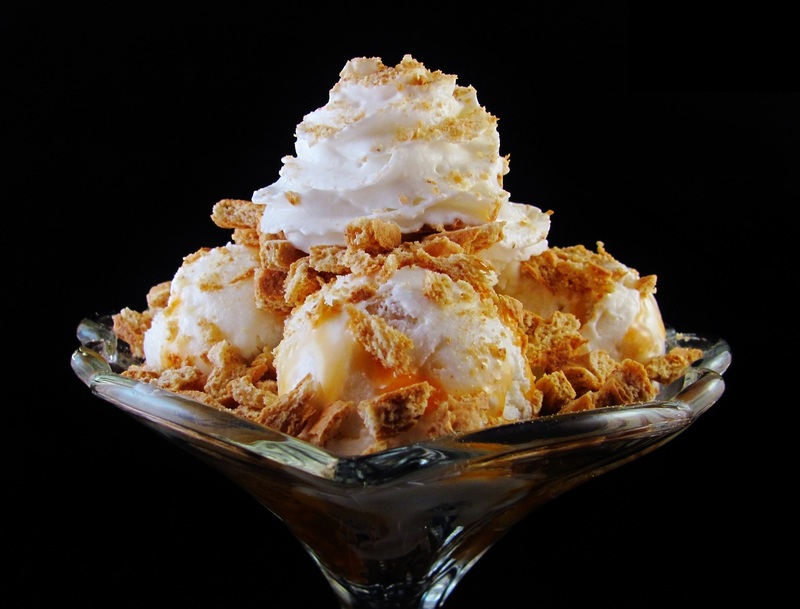 Are you talking about the new for 2014 coconut we talked about/I've used in sundaes? That one is way better and will be reviewed soon enough. i just wanted to post this one since it will only be around for a little while longer? Ohhhh ok.. if that one was better I need to go pick that up! Way better in my opinion and when I said new for 2014, I meant 2013 aha. Be on the lookout for the new Sweet Potato Pecan Pie and Butter Brickle flavors. I believe the former is available now. Anon, the former is supposed to be available in April but since it's not the primary limited edition for that month, I'm not so sure I'll be seeing it soon if at all in my area. The latter is the limited edition flavor for June which means it will probably show up in July for me aha.